Summertime is the perfect time to craft with popsicle sticks! Recycle all of the sticks from the popsicles your kids eat to make creative and fun crafts. 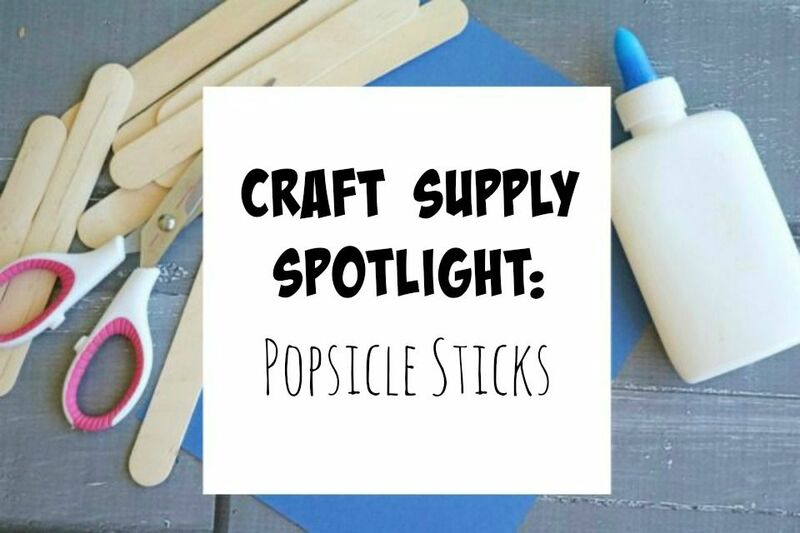 You can also head to any craft supply store to find popsicle sticks in bulk so you always have them on hand. Crafting with these wooden sticks is a blast. There are endless amounts of clever crafts out there that involve popsicle sticks. You can paint them, glue them together, use them to make little people, build small houses out of them, and more! Need some ideas for awesome popsicle stick projects? Check out the ones below! 1. Popsicle Stick Button Flag Kids Craft: You can make this popsicle stick craft with your kids for the 4th of July! It's super easy, super fun, and super patriotic! 2. Popsicle Stick Ladybugs: These popsicle stick ladybugs are adorable and simple to make one afternoon. Turn some ordinary wooden craft sticks into something spectacular! 3. Popsicle Stick Baby Chick: You'll need a few jumbo popsicle sticks to put together these little chick cuties. This project is a piece of cake and perfect for junior crafters. 4. Popsicle Stick Apples: These apples are almost good enough to eat! But don't eat them- craft them with your kiddos! These make a great project for back-to-school. 5. Colorful Painted Craft Sticks: Find your creative side with this colorful craft project. Use watercolors and acrylic craft paint to make mini masterpieces on popsicle sticks. 6. Painted Paper Popsicles: Use popsicle sticks to make faux popsicles. Cute summer craft to keep your kiddos from saying "I'm bored". 7. Popsicle Stick Farm Critters: Craft an entire farm of animals with popsicle sticks. Use them for a puppet show or just everyday playtime. 8. Poppy Flower Craft: Simple yet pretty flower craft using popsicle sticks and cupcake liners. Put them in a little vase for summer decor! 9. Make Plant Markers From Popsicle Craft Sticks: Label all of your different herbs, plants, and vegetables in your garden with popsicle stick markers. Cute and creative way to keep your garden organized. 10. Popsicle Stick Christmas Trees: When the holidays roll around, try making these popsicles stick Christmas trees. Use them as ornaments for your tree or gift them to friends, family, and neighbors. The end result is beautiful and festive.